Northwest Missouri Educational Robotics Foundation, Inc.
FIRST 2018-19 Challenges and Logos. 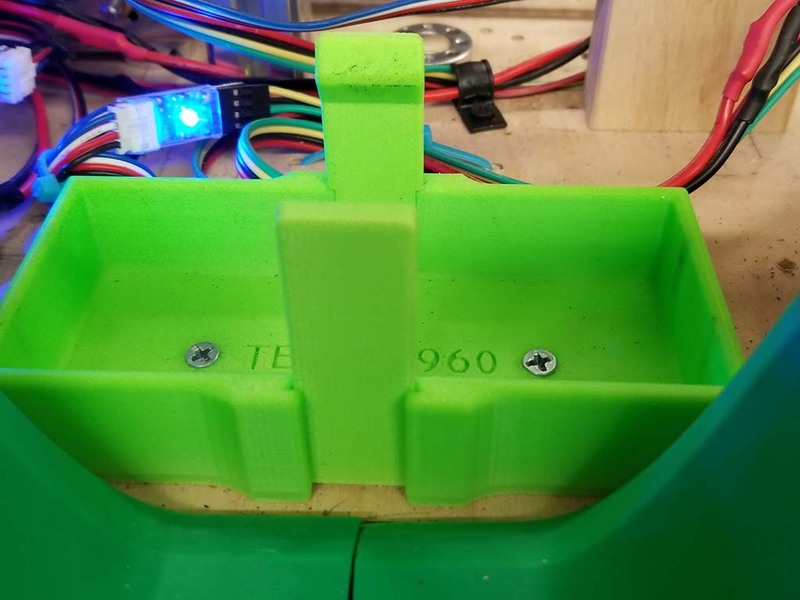 We have one 3-d printed part that is called thew battery box. the battery bx was our own design that we created a couple of years ago. It is made from plastic only. after this years meets and qualifyers it will be officially two years of using this battery box. FIRST Tech Challenge 2018-19 Logo.